Many off-road recreation areas and land management agencies currently limit vehicle width to 50 inches or less. This can present a problem for Polaris Ranger RZR 800 and 570 side-by-side UTV owners. Although these models meet the 50-inch-maximum trail restrictions as they come from the factory, no aftermarket wheels have been available to maintain that narrow legal width. Owners who wanted to customize their RZRs or replace damaged stock wheels with something other than OEM have been out of luck. Until now. STI has the solution with a new “Polaris 50-Inch Trail Legal” wheel alternative that utilizes a 6+1 offset to keep the standard RZR 800 and 570 to within 50-inch allowable limits. 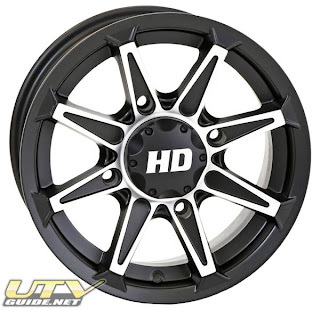 This 6+1 STI HD2 is available in 12×7 and 14×7 sizes with the Polaris 4/156 bolt pattern. No other aftermarket wheel is offered in these specifications. This same wheel will also benefit owners of Polaris Sportsman XP 850 and 550 ATVs. It’s the only aftermarket option that keeps these models close to OEM dimensions (adding just two inches to overall width), which still provides plenty of clearance for most aftermarket tires and keeps them tucked in under the fenders to maintain good splash protection. And best of all, the STI Polaris 50-Inch Trail Legal HD2 wheel provides much more than optimal sizing. This lightweight 8-spoke wheel is a real head-turner, featuring a durable matte black finish with bright machined accents, topped with a tough matte clear coat. Like all STI HD Alloy series wheels, the surprisingly affordable HD2 comes with a lifetime structural warranty, thanks in large part to the HD2’s unique inner and outer heavy-duty wheel lip reinforcement. The HD2 is as strong as it is attractive, boasting load ratings of 700 lb. for the 12-inch size and 800 lb. for the 14-inch size. A matching HD logo wheel cap is included with every wheel. STI Polaris 50-Inch Trail Legal wheels are available at finer ATV/UTV dealers everywhere, through MTA Distributing. 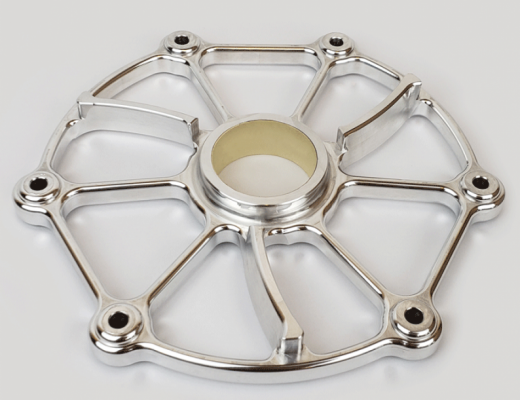 For more information, to place an order or to locate an STI dealer, visit www.stitireandwheel.com or call: East (318) 255-0049; West (951) 272-0971.